REUTERS, March 3, 2016 -- An Ohio man who killed his roommate and ate part of his brain almost 40 years ago was denied parole for the sixth time, prison officials said on Thursday. 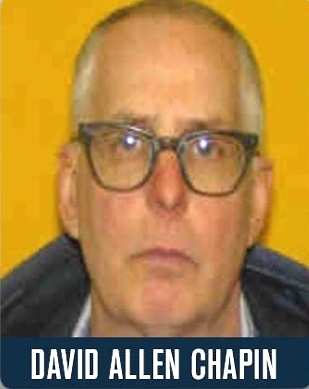 David Allen Chapin, 60, was deemed "unsuitable for release" by the Ohio Parole Board on Wednesday, said JoEllen Smith of the Ohio Department of Rehabilitation and Correction. Chapin shot Donald Liming in the eye in their apartment in Milford, Ohio. At the time of the shooting, both men were 23 and longtime friends, the newspaper said. During the murder trial, Chapin pleaded not guilty by reason of insanity. 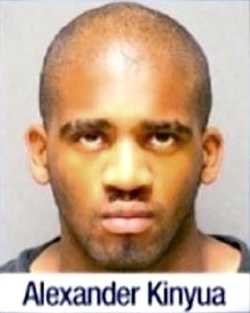 He told a court ordered psychiatrist that he ate Liming's brain as part of a "mutual agreement" between the roommates, the newspaper said. Chapin, serving a life sentence at the Allen Correctional in Lima, Ohio, cannot be considered for parole again until December 2018, Smith said. Clermont County Prosecutor Vince Faris said his office would continue to object to the release of Chapin, supporting relatives of Liming who want Chapin to remain in prison. BUT WHAT ABOUT THE ACTUAL CRIME? In 1978, David Allen Chapin sat in his RWC Biology class and asked Professor Diedrich DeJong if he wanted a corpse to dissect. Chapin had one to offer--in the trunk of his car. According to the Cincinnati Enquirer, after an argument with his longtime friend, Donald E. Liming, over whose religion was better, Chapin shot Liming in his right eye with a rifle. The roommates, who were both 23 at the time, lived together in an apartment on Concord Woods Drive in Milford. Chapin was a Baptist, and Liming claimed to be a Catholic, a Buddhist, and a Pagan. After murdering Liming, Chapin then proceeded to eat at least some of Liming's brain. During the trial, a psychiatrist testified that Chapin told him that he and Liming had previously agreed to eat the brain of whoever died first, in order for the spirit of the dead person to live on inside the survivor. On October 3, 1978, Chapin stuffed Liming's body in the trunk of his Buick Skylark, and drove it to RWC. After realizing that Chapin was serious about the corpse, Professor DeJong reported the issue to Security, leading to Chapin's prompt arrest. Kuru is a very rare disease. 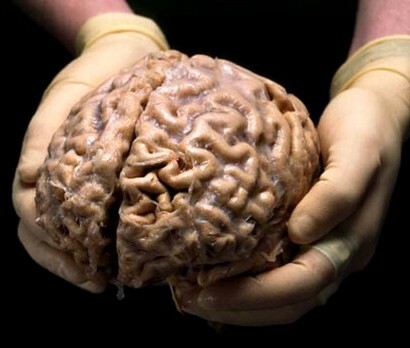 It is caused by an infectious protein found in contaminated human brain tissue. Kuru is found among people from New Guinea who practiced a form of cannibalism in which they ate the brains of dead people as part of a funeral ritual. This practice stopped in 1960, but cases of kuru were reported for many years afterward because the disease has a long incubation period. The incubation period is the time it takes for symptoms to appear after being exposed to the agent that causes disease. Kuru causes brain and nervous system changes similar to Creutzfeldt-Jakob disease. Similar diseases appear in cows as bovine spongiform encephalopathy (BSE), also called mad cow disease. The main risk factor for kuru is eating human brain tissue, which can contain the infectious particles. Hours after his family members alerted police to a human head and two hands they discovered stashed in metal tins, a Maryland man admitted killing his housemate, cutting him up, then eating his heart and part of his brain, authorities said.